Things have been slow around here lately, partly because of work, and life in general, and partly because of the book I'm writing with Alan. Although we haven't been able to dedicate as much time and energy as we would have liked to this, still unnamed, creature, it has already grown to a respectable 12000 words. Our goal is to make it to 30000, after which we will have to start with the tedious work of editing, adding footnotes, reviewing our opinions (one of the nice things about writing something like this is that your ideas can change as you work and see some things from a different angle), etc. 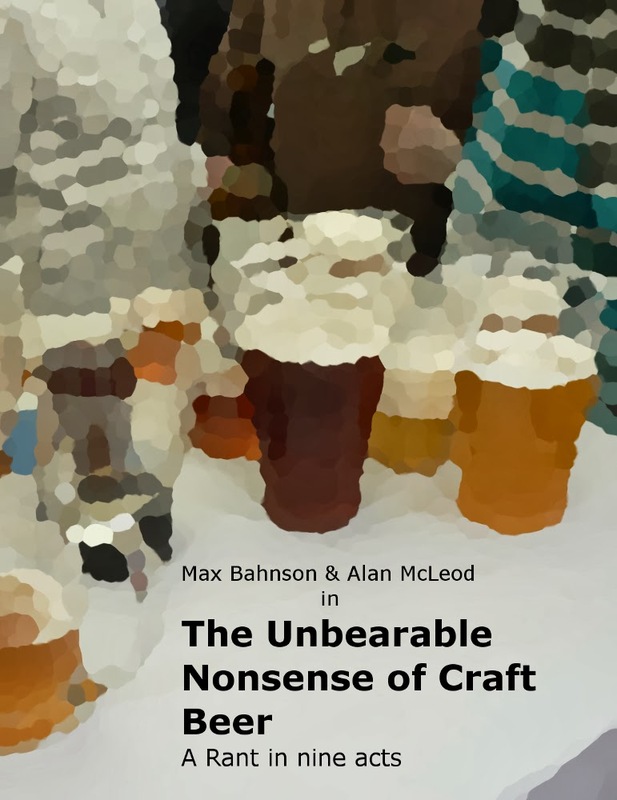 Thus far, the topics that have been, or are being, discussed are: styles, health, tasting, language, micro marketing, extreme and experimental beers, collaborations. 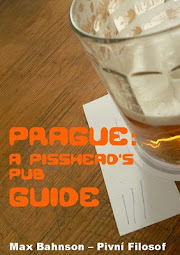 In the pipeline are value/price, myths, beer writing and blogs, evangelism, industrial vs craft and likely some more. The book has already taken to what appears to be a neighbourhood hospoda, Alan's kitchen, a tavern in 80's Canada, a Spanish bar, a Bavarian beer garden, a sensory isolation chamber, an abandoned ship, an examination room (much to my chagrin) and a lecture hall. Among all this we have met someone who might or might have not been a younger version of Alan's wife, and an irritated and vehement Ron Pattinson. God knows where else we'll be and who else we'll come across. Neither we know when the whole thing we'll be ready. What we are really sure of, though, is that we are having a lot of fun writing this. So, that's it, I must get back to work. I would love to be irritated by this book. I'm hard to rankle, but you'll have done good work if you can get my dander up. Just the two men to do it, too. Now up to over 15,000 words as I made a mockery of the newly created February long weekend called "Family Day" here in Ontario.